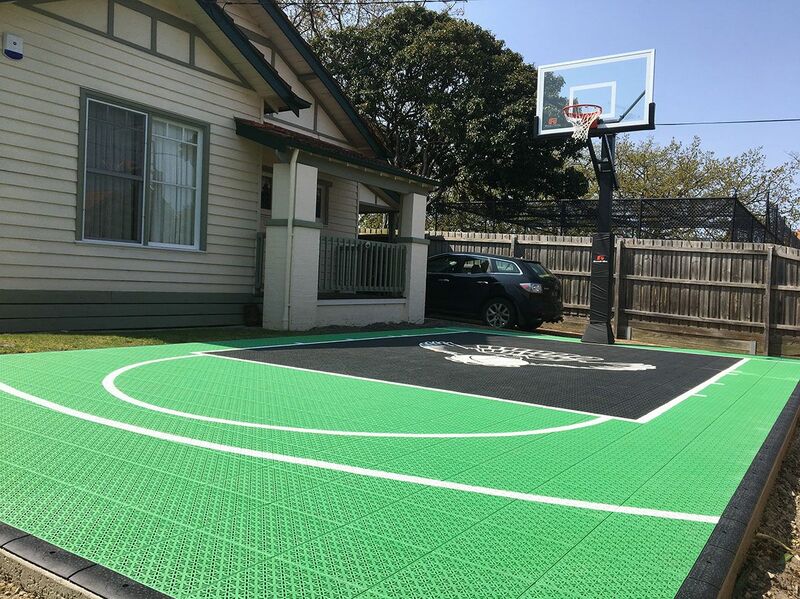 Australia's Number 1 Selling Brand of Basketball Courts and Multi Sports Flooring (Futsal, Tennis, Netball, Cricket) for Homes, Schools, Sports Facilities & Parks. 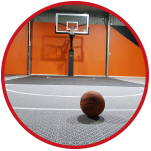 The most advanced and trusted commercial-grade suspended interlocking multi sports court flooring system. 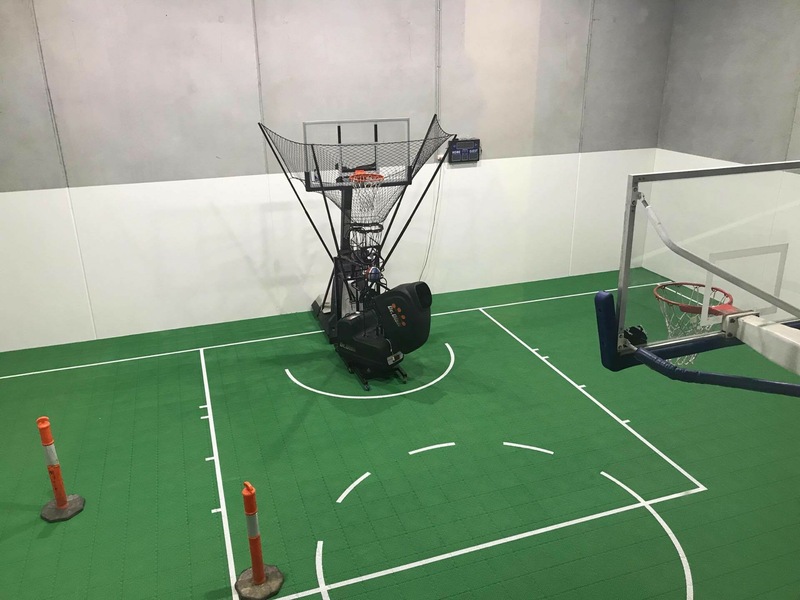 MSF Sports are proudly Australian-owned & operated and have been offering elite-level sports court systems for over 15 years, having built 100's of sports courts across the country. 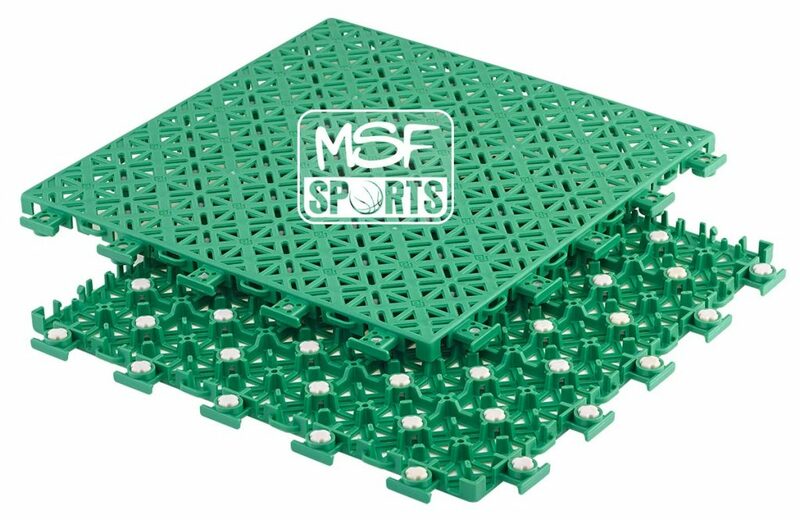 PP (Polypropylene) is the primary component of our exclusive high density sports flooring, and is a durable and recyclable material. 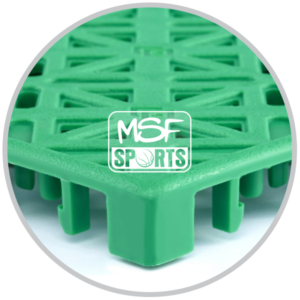 Our technology outdates older sports court technologies, increasing life-span, usability and safety for all weather conditions, minimising strain to joints and reducing the hassles and costs - while maintaining an elite level of professional game-play. 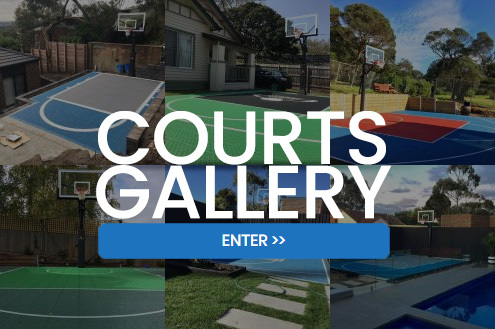 View our Gallery of Hoops Courts & Multi Sports Flooring Systems for inspiration for your own backyard or sports facility. 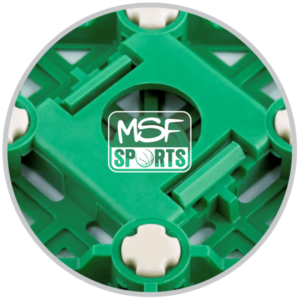 4-way directional Rubber Cushions provide superior ball bounce performance & stability throughout the entire tile. 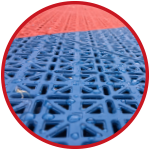 To allow for all weather conditions in Australia's climate, expansion joints run throughout all tiles. While we secure edges to the concrete, you have the option to secure individual tiles to the concrete to prevent theft. 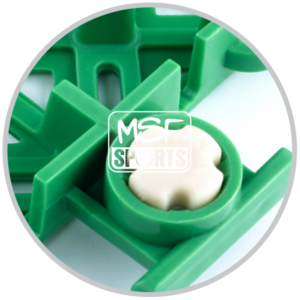 Corners are designed with a symmetrical sloping edge, to prevent risk of injury & guarantee rebound direction. 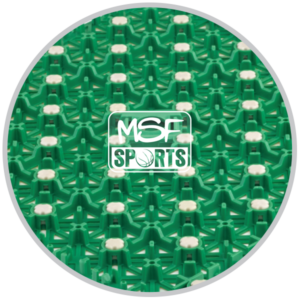 Each tile is designed with 50 Rubber Cushions for maximum stability and shock absorption to protect your joints. 5 Year Warranty and 10-20+ Years Lifetime Expectancy. 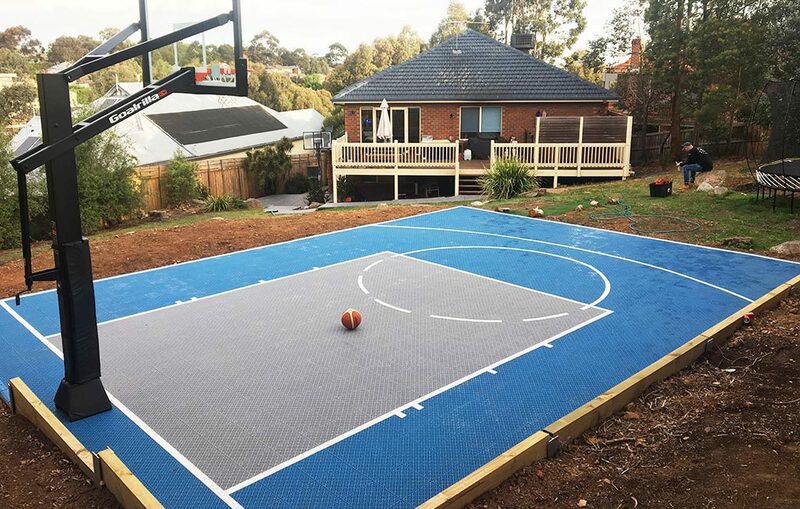 If you find a better price on a similar product, we will beat any price in Australia. 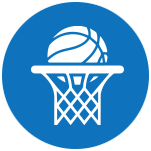 Your court is our passion. 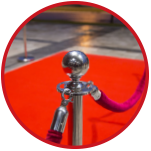 Your MSF Court Manager will manage & support your project from start to finish - providing you with a red carpet experience. The complete court package. 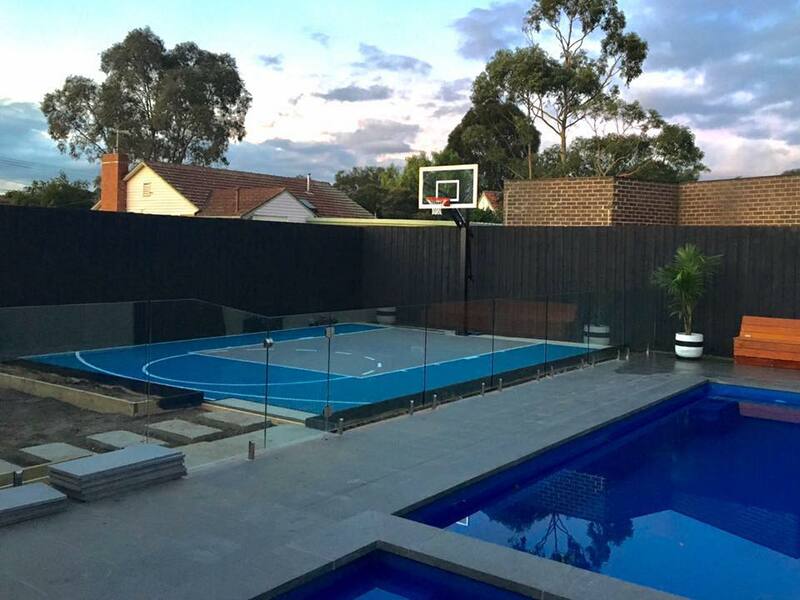 From Australia’s best range of Hoops, Line markings, Netting and Lighting - you won’t have to shop anywhere else. 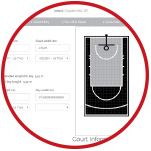 We use our own Custom Court Builder Software that enables our expert designers to fully customise your court to be FIBA regulation. 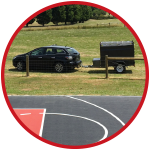 We pride ourselves on our fast turnaround time. 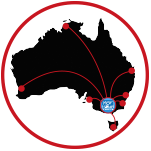 We hold stock in 2 locations in Melbourne’s West & East. 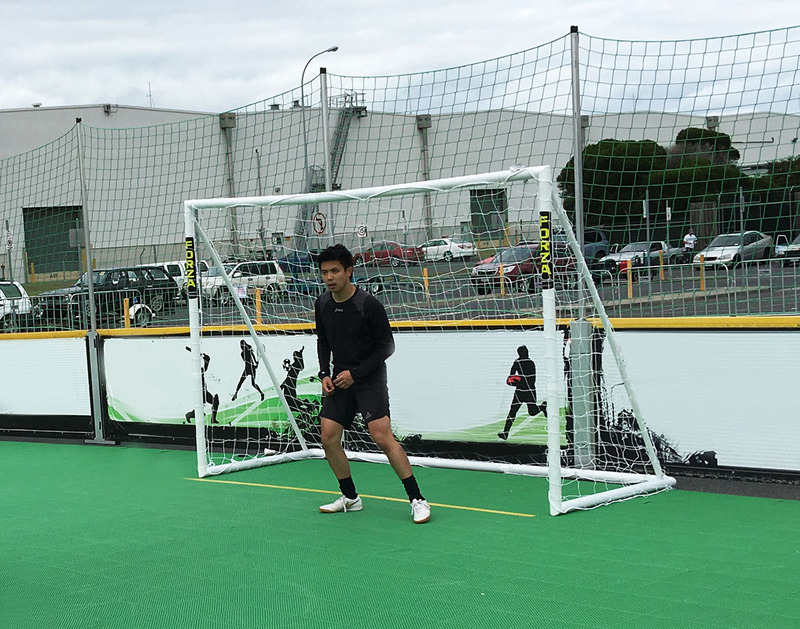 From start to finish, allow 2-4 wks. 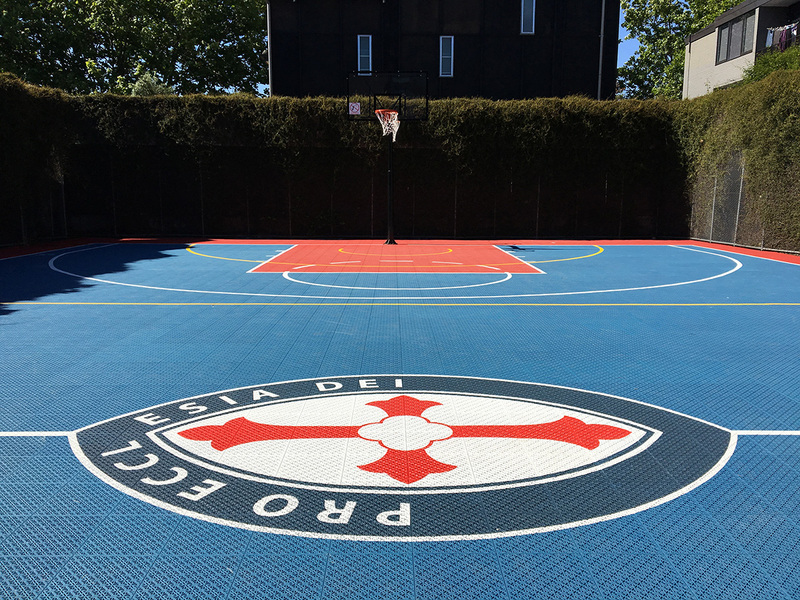 Our custom-designed flooring technology is manufactured overseas to a global standard; and our courts are built & line-marked in Australia. 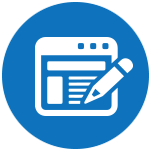 We make the process simple and can manage your project from Start to Finish. 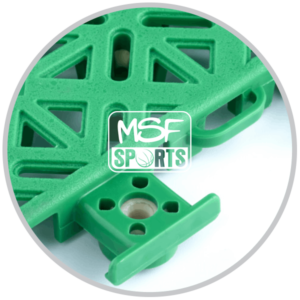 This means you'll only have to deal with one person - your MSF Court Manager - who will work with you on your Custom Design, managing concrete and excavation (if required) and final court installation. The entire process takes between 2-4 Weeks. 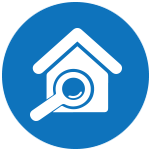 You will receive a Quote and Custom Design based on your consultation or inspection. 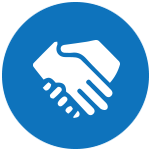 Once you decide to proceed, you will receive a schedule & full support over the 4 weeks. 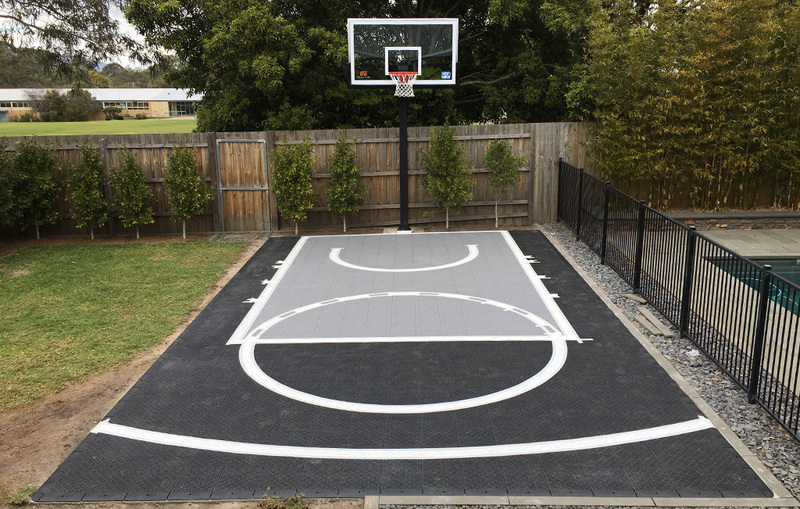 Your Hoop arrives in 3-5 days. 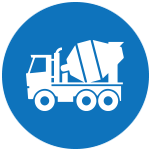 Your Concrete & Excavation will be booked in within 2-3 weeks. Give 3 days for concrete to set. 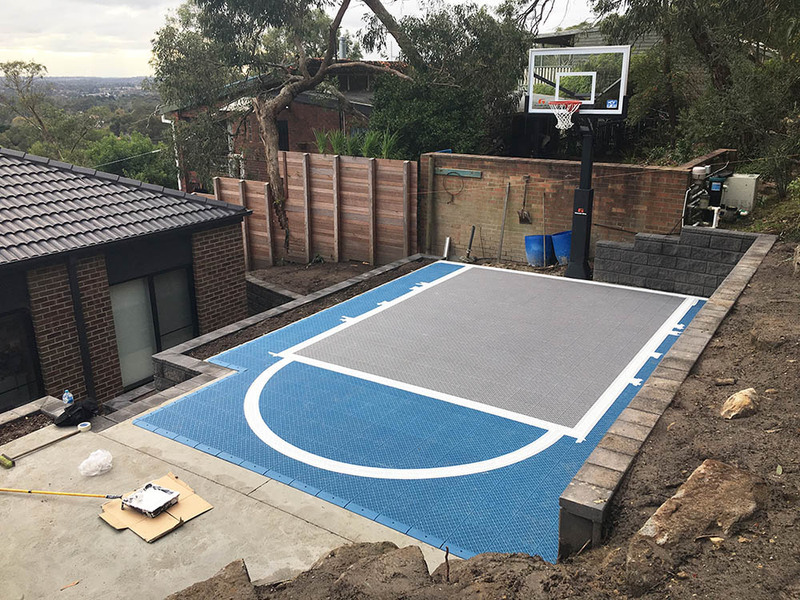 Within 1 week from concreting, your Hoop & Court is installed. 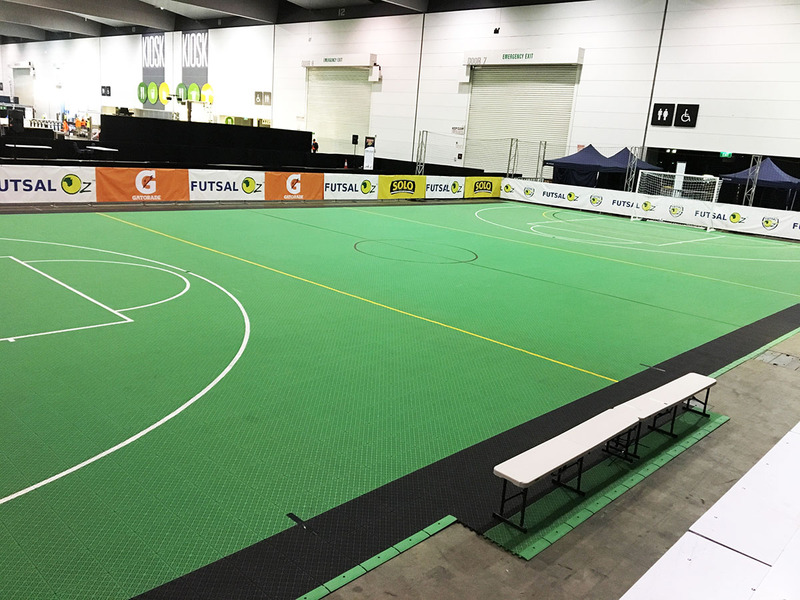 Basketball, Netball, Futsal, Soccer, Tennis, Volleyball, Badminton, Indoor Cricket, Indoor Football and most sports that require a quality hard floor. 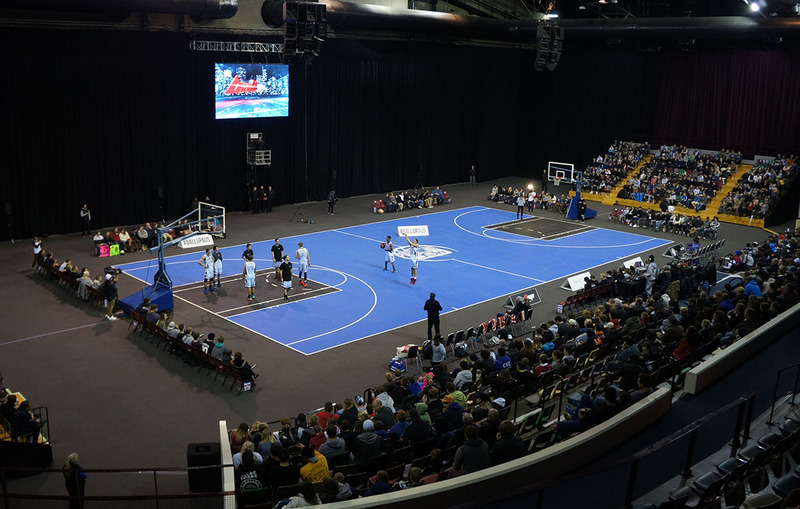 Our court systems are of the highest commercial-grade quality and trusted by the most elite sporting brands. 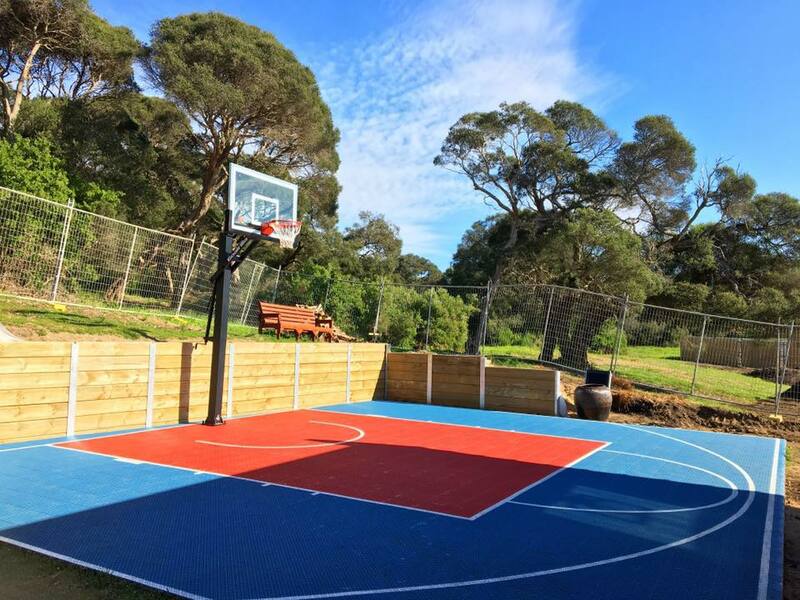 Ideal for a range of facilities and purposes, including homes, backyards, parks, playgrounds, schools, sports training facilities, sport arenas, sports clubs, hotels, resorts, apartment facilities, gyms, kindergartens, day care centres and portable sporting events across Australia.